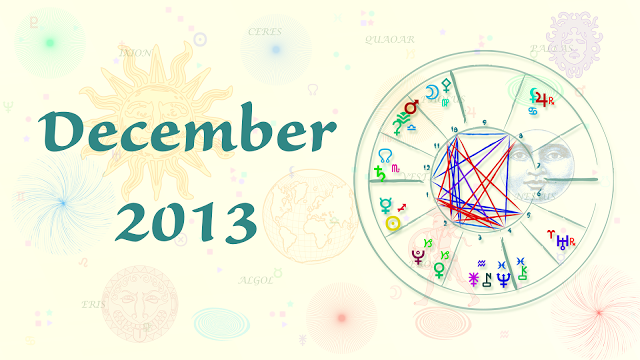 For All Sun Signs ~ December’s vibes are deceptive. Challenges and opportunities are intertwined in delicate balance. If we focus too much on the challenges, we’ll let the opportunities slip by. If we use the opportunities to evade the challenges, we’ll leave important things undone – only to have to deal with them at considerable cost later. The irony is that December’s aspects are forgiving. They look a lot scarier than they are. It would only take a modest effort to overcome them . . . if you act soon. SAGITTARIUS ~ Sagittarians are undergoing a major lifestyle transformation. Everything and everyone is behind it. It’s your future hastily making room for itself. Prospective changes threaten much that you value, though. Proposed changes to finances and family arrangements are especially concerning. The biggest danger is you’ll stay silent about these concerns for fear of the concessions that might be required to satisfy them. Don’t give up things you cherish by default. The cost of preserving them might not be as high as you think. CAPRICORN ~ Capricorn’s first impulse is to manage people and events in the name of the greater good. But the levers of power are not within your grasp, now. You might just have to let people do what they prefer in hopes they’ll come around on their own. Do the right thing and trust that others will follow suit. In December, that is not just a pious wish, it’s a surprisingly effective plan . . . and your only realistic option. The stars will insure the outcome. AQUARIUS ~ At work, developing trends seem to conflict with your expectations; working conditions, cash flow, long-term financial goals and such all seem problematic. But that’s only if you look at the hard aspects. The supportive aspects offer a generous array of agreeable options. The key to success is an old-fashioned work ethic. Yes, the politics are annoying; the logistics are awkward. But if you just show up regularly and do the job, all that other stuff really will take care of itself. PISCES ~ You find yourself increasingly at odds with people across a broad array of issues, on practical grounds and on matters of principle. You don’t need to resolve all these issue with all these people. Instead, you need to overcome the influence the mental and emotional lives of others has on you. In this instance, detachment is good. Actually, events and circumstances are offering you an opportunity to shape a more independent life. Indeed, they are pushing you to do it. Go with it. ARIES ~ How well you think things are going will depend a lot on whether you focus on the good news or the bad. Making the needed personal and financial adjustments could seem downright daunting. But if you focus on how much you can accomplish with a little extra effort, things look much brighter. It might not seem so now, but you’ll end up in a much better place. The risk is not as great as it appears. Just let your conscience be your guide. TAURUS ~ December’s vibes strongly support efforts to expand your circle of friends and, this time, create deeper, more rewarding and lasting ties, especially if you are straightforward about who you are. The planets are aligned to heal existing relationships and insure that new ones aren’t impaired by old habits and hangups. There’s static in the background, especially with respect to finances. Things aren’t as bad as they appear. Take whatever financial precautions make you comfortable, then devote yourself to your expanding social network. GEMINI ~ There’s a lot of noise from emanating from the front office. Maybe it’s conjuring up thoughts of budget cuts, performance reviews, contract renewals, etc. But, no. It’s about your notable ability to instill purpose and integrity in those you work with. If, out of concern, you chat management up about budgets and bookkeeping minutiae, you’ll bore them. You’d do best to brush up your people skills. Superiors and subordinates are anticipating morale issues and they’re counting on you to calm and motivate troubled spirits. CANCER ~ There is more turbulence on the way, clearly. Just as clearly, Cancerians will be directly involved. Considering recent trends, you are probably prepping for yet another in a long series of power struggles, no quarter, no holds barred, winner-take-all. If you flip into battle mode, though, you’ll start an unnecessary chain reaction – for nothing. Strike a practical, conciliatory tone instead and move forward. You will be stunned, and happily so, to discover just how many will be eager to follow your lead. LEO ~ Cooperate with the complex and powerful forces working in your favor. Calm fears that your dreams will go unfulfilled and your talents unrecognized. I’d issues a stern warning against dwelling on the negative possibilities, lest you miss an important cue on from the positive side. However, success is so likely this month, you can dwell on the negatives all you want and still succeed. You’d end up feeling foolish, though, for worrying so much, especially if you do it aloud in public. VIRGO ~ The difficult aspects in December are counteracted by numerous strongly supportive aspects. Virgos might feel tensions in important relationships. They might need to make some challenging financial choices. However, Virgo is so well-positioned in the astrological scheme of things, it’s hard to see how they can be hindered for very long by anything. December’s positive vibes seem designed to quickly resolve every issue standing between you and the better lifestyle you envision. There is a premium on honesty, though. No fibs. LIBRA ~ December’s good aspects come at Libra from a difficult angle; it’s hard aspects hit Libra head on. In confronting the inevitable challenges, Libra must find solutions that don’t exploit the opportunities but dodge legitimate challenges. It’s partly a matter of doing the right thing, partly a question of being realistic and partly a matter of understanding what’s really going on. You might also find yourself advising others to look much more closely at the sweet deal they think they just worked out. SCORPIO ~ The difficult and supportive aspects both affect Scorpio favorably. The solution to any issue, whether yours or someone else’s, will come easily. The key is to tap your powers of intuition on behalf of yourself and others. You can help a great deal by gently taking the lead or quietly offering advice. You could use the natural advantage the stars have given you to coast through December, but then you’d only have to help people correct the mistakes they made while you were daydreaming.